This short article explains how you can troubleshoot when read receipts feature for iMessage is not working properly. Several iPhone and iPad users have noticed that read receipts is not always sending or failing to deliver. For instance, some users have said that they stopped getting the notifications that their messages are read even thought you know that read receipts is turned on. When you receive a message, you can let the sender know whether or not you have read the message. This is a handy feature named Read Receipts. 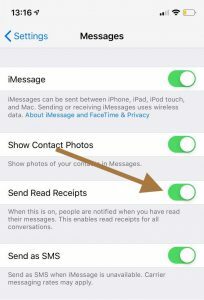 You can enable or disable “Send Read Receipts” in Messages on a per contact basis or for everyone who send you text messages. If you turn this off, the sender will still see the “delivered” status indicating that your message successfully delivered to the recipient’s device (but it is not possible to know that the recipient has seen it). If you enable, then the sender will see the “read” status once the message is read. So what you can do if this is not working. See also: Messages Showing Numbers, Not Contact Names? Please note that only iMessage-enabled texts are supported. This means that an iMessage text can be sent or received on an iPhone, iPad or iPod touch running iOS 5 or later or on a Mac running OS X Mountain Lion or later. This further means that iMessages can only be sent between iPhone, iPad, iPod and Mac. Before you start doing anything, make sure that iMessage is on. Go to Settings > Messages and check this. If not toggle it on. Sometimes, iMessage may say “Waiting for activation” If this is the case, just wait, it may take up to 24 hours to activate. If you are still seeing this, contact Apple. 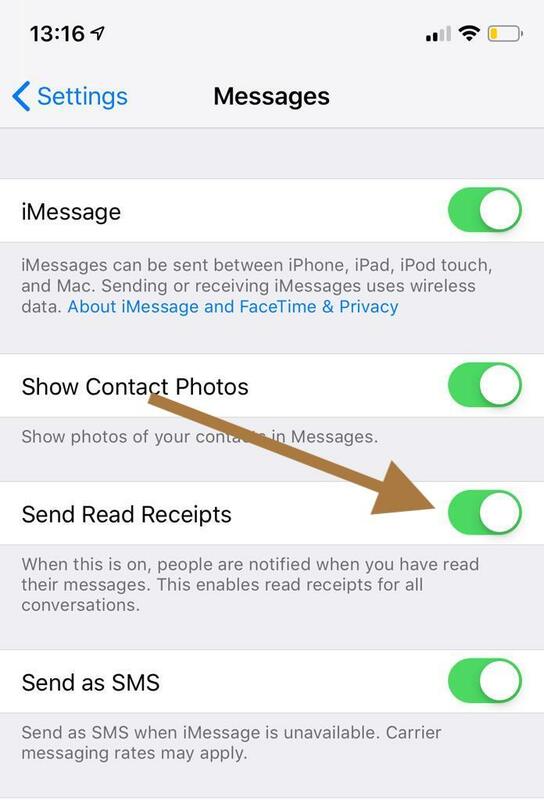 Furthermore, go to Settings > Messages and verify that Send Read Receipts is enabled. 1-Restart your device. You can do so by going to Settings > General and Shut Down and then restart your device. 2-Make sure that your device has the latest version of iOS. You can do so by going to Settings > General and Software Update. 3-Go to Settings > Messages and disable Sen Read Receipts and wait a few seconds and turn it back on. 4-Restart the Messages app. To do this, go to Home screen and swipe up (or double press the Home button if your device is an iPhone 8 or earlier) and find the Messages app by swiping left or right and then swipe up on the Messages app and then reopen the app and try again. Then restart your iPhone, or iPad. Once your device is on, return to Settings > Messages and turn iMessage back on. See also: iMessages and Text Messages Out Of Order? 6-Are your using your phone number or your Apple ID for iMessage? If you are using your Apple ID, sign out of your Apple ID and then sign in again. You can check this by going to Settings > Messages and find the “Send & Receive” option, tap that, and if it is your Apple ID (it can also be your phone number), sign out and then sign in. 7-On your device, go to Settings > Settings > General > Date & Time and make sure that your time zone is set correctly. You may want to Turn on Set Automatically. 8-Try to delete the entire chat conversation, and start a new conversation. 9-Reset your network settings. Note that this is will reset your network settings like Wi-Fi passwords etc. To do this, go to Settings > General > Reset > Reset Network Settings.